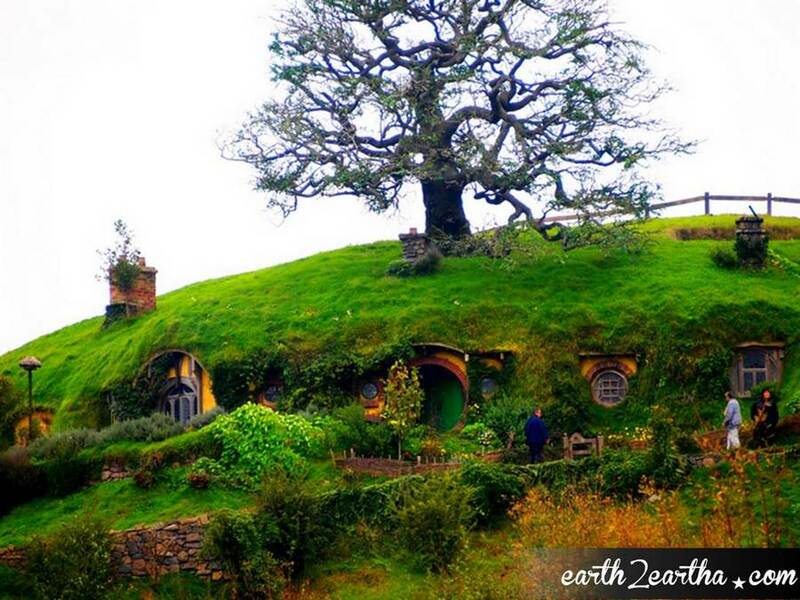 He lived a cool life full of awesome adventure and they made a few movies about it! 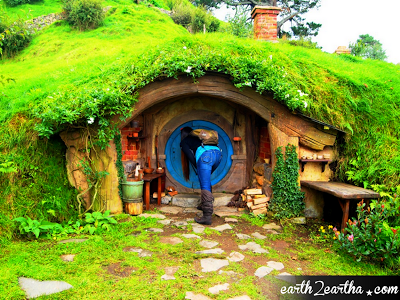 Now all the movies have been filmed, everyone is happy, and the hole... in the ground... still remains. Yay! 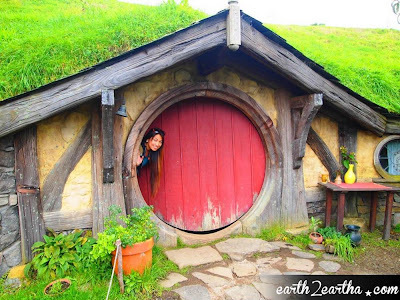 As an obvious Lord of the Rings and Tolkien fan with a Rivendel Elf as one of my good friends, paying a visit to the Hobbiton Set Tours as I traveled through New Zealand was a no brainer! In fact, I could even go as far as saying, Hobbiton was probably one of the main reasons why New Zealand was in my itinerary in the first place! Just like The Sound of Music tour was my main reason for visiting Salzburg, and the Wizarding World of Harry Potter was my reason for visiting Orlando. I'm a movie nerd. Loud and proud. The beauty of Hobbiton is that one doesn't necessarily have to be a LOTR fan to enjoy it. I mean, if you are, then you'll absolutely go nuts! If not, you'll think it's an amazing place anyway! 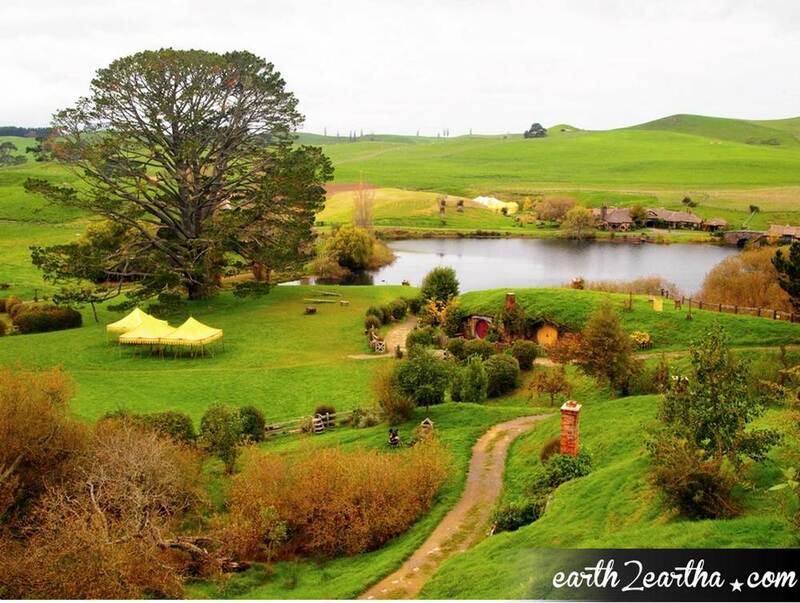 The Hobbiton set is located on a real New Zealand farm in Mata Mata. It's huuuuuge (1250 acre) and really well kept! I remember commenting on how many sheep there were as I was driving towards the location, not realizing I was actually already in the farm's property! Do you see the sheep? 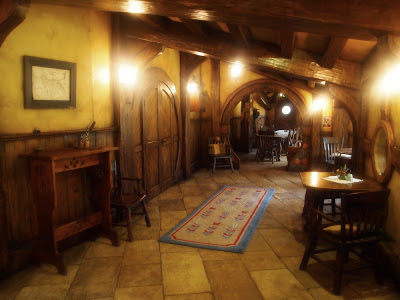 So basically a few minutes before my tour departure time, our tour guide, Jack, gathered us around in front of The Shires Rest, a quaint little cafe for visitors, to wait for the bus that takes us all to the set. It was a very quick ride with spectacular views of the farm. And just a couple minutes before we arrived... there was a collective gasp, and there it was. Click on the images to enlarge. They look better! 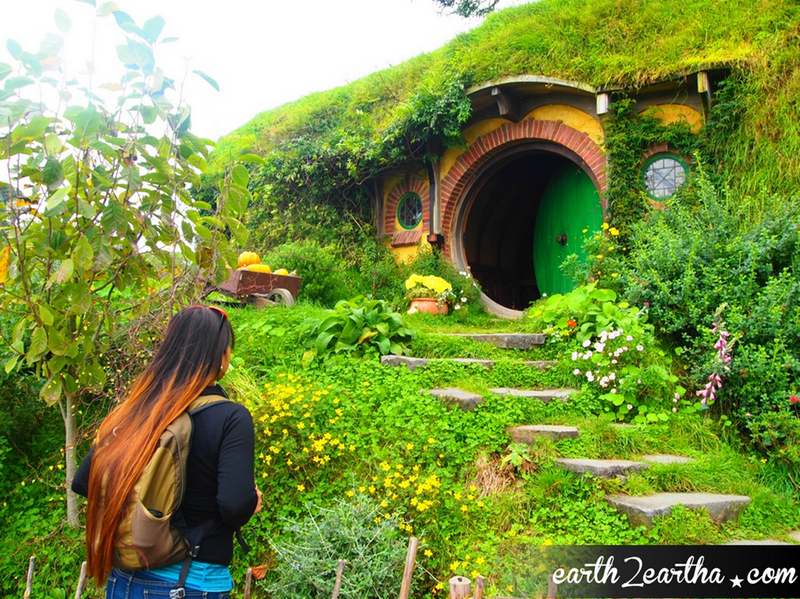 All of a sudden, I was magically transported to Middle Earth, and all that matters in the world was the one ring of power I held in my hand, and how I needed to help my fellow hobbitssess to destroy it by throwing it into the fires of Mordor!!! The tour set up was quite easy. Jack gathers the group around on one location, usually a hobbit hole, to talk briefly about a little history. How the Hobbiton Set Tours started, how they maintain the farm, which hobbit hole belongs to which character, etc... then he leaves us to take photos and go nuts for 10 minutes or so, before he moves us on to another spot. It was great! 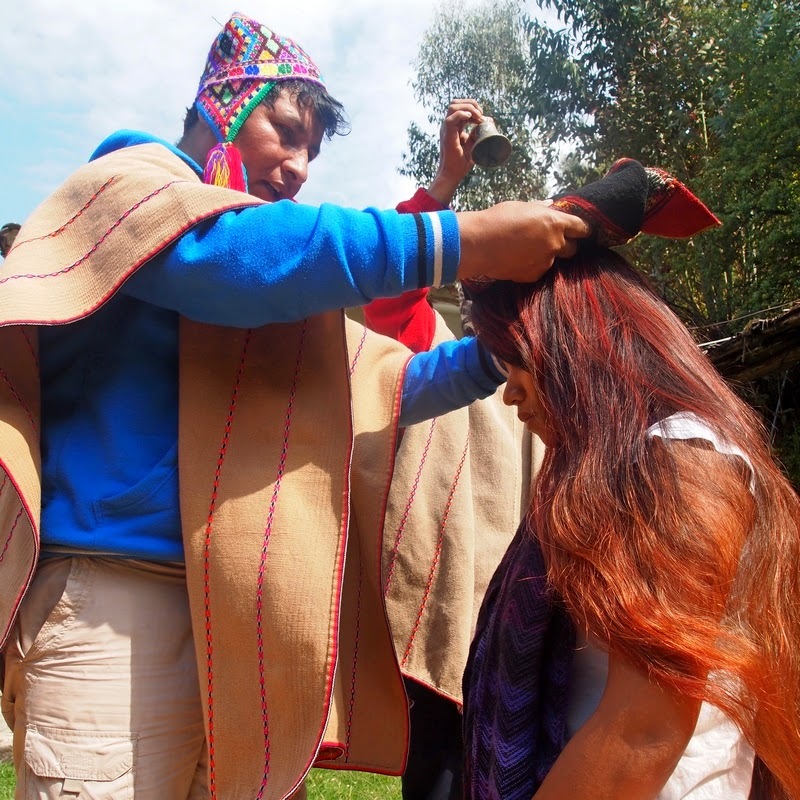 Very informative, yet not too hectic. But it's not like there's an actual set inside... there's nothing in there either. 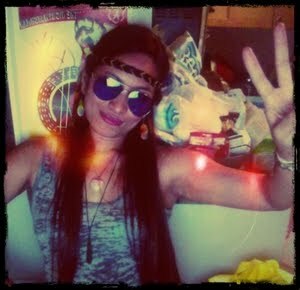 Just space. I know. Hollywood, eh? It doesn't make it any less cool though, in my humble opinion. In fact, every single thing about this place is spectacular! 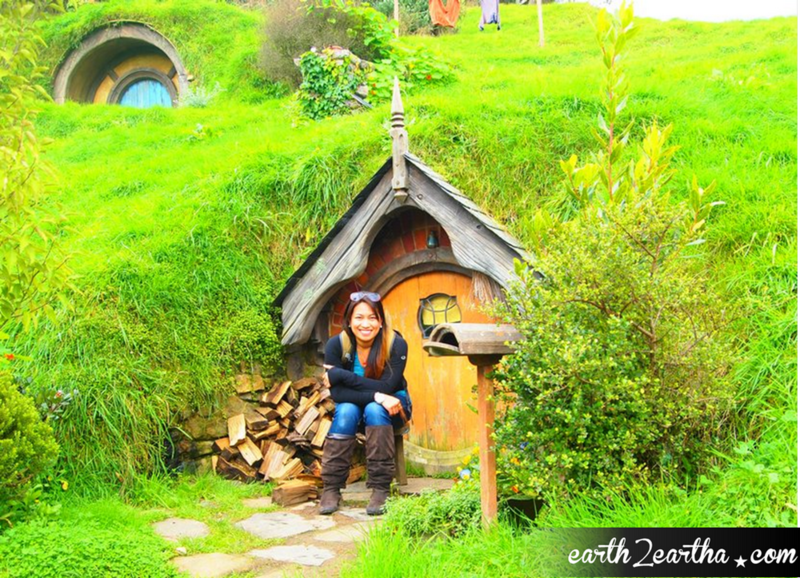 My eyes couldn't get enough of everything... the views, the hobbit holes, the land... I wanted to be left alone for a few hours to just be there. To absorb Hobbiton... 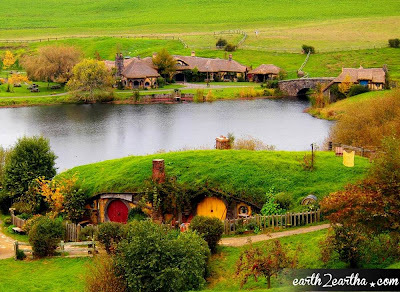 The Shire... Middle Earth. 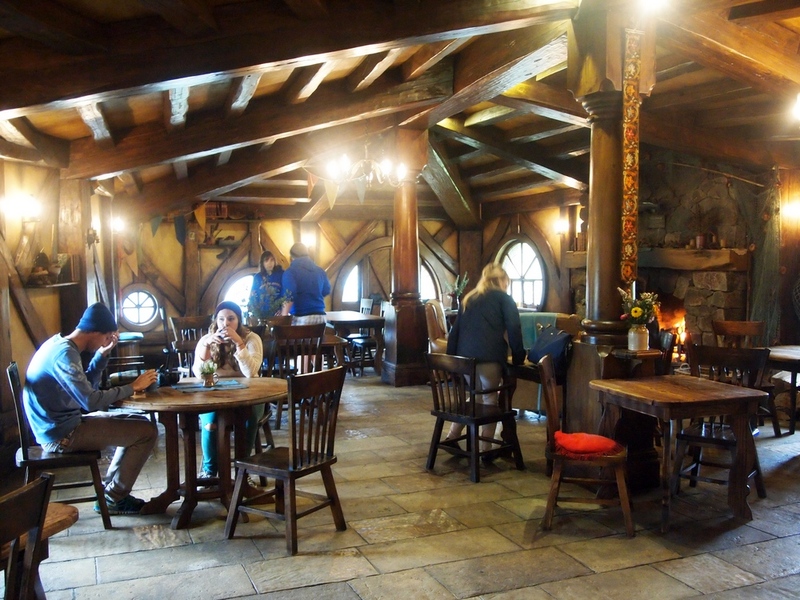 Unfortunately, we had to stick to our schedule and head over to The Green Dragon Inn for our free refreshments. It was just as well because as we started to walk towards it, it started to drizzle. Having a nice ginger ale with my new tour friends, warming ourselves up by Frodo's fireplace was a great way to end the two hour journey through The Shire. But probably also because I didn't want to leave at all. 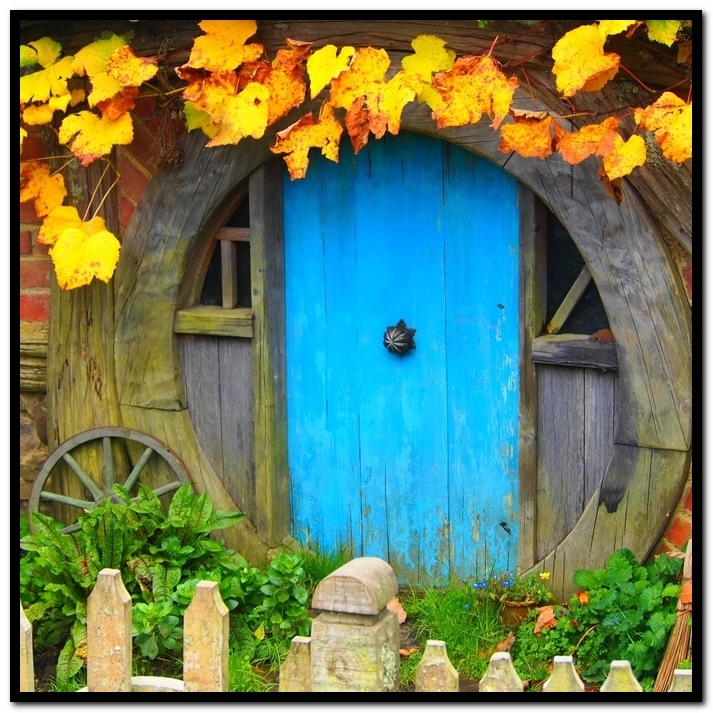 I guess it must have been what Frodo and Sam felt, leaving the Shire for the first time to head to Bree. They say the whole of New Zealand is Middle Earth, and Mata Mata is Hobbiton. Lucky for me I still have a couple weeks to explore the country, so the tour technically doesn't end yet. 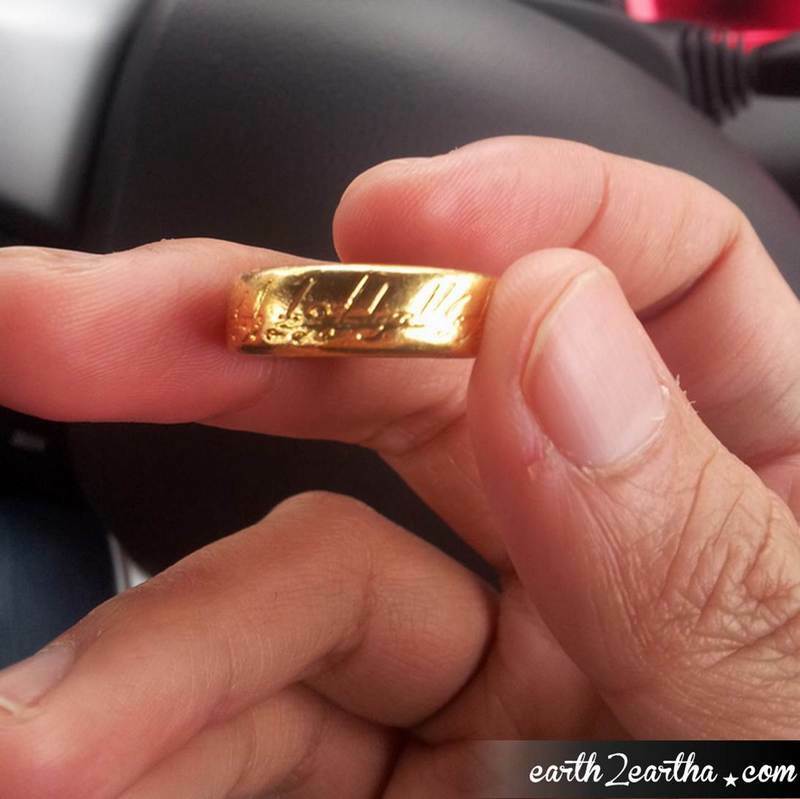 I do still have the task of taking the ring to Mordor (Tongariro National Park) after all! 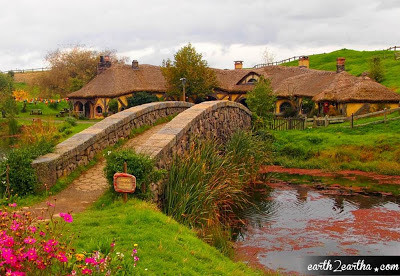 The Hobbiton Set Tours is definitely worth going to New Zealand for. If the photos haven't already made it obvious, I had the time of my life! First thing I did when I had the chance was to re-watch the Lord of the Rings and The Hobbit. 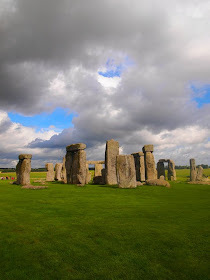 Part of the fun is the excitement that comes with seeing certain scenes, and knowing that you've been there, and in my case, lived it... even just for a couple hours. I know I JUST did the tour, but seeing the movies and reviewing my photos made me want to go - there and back again. 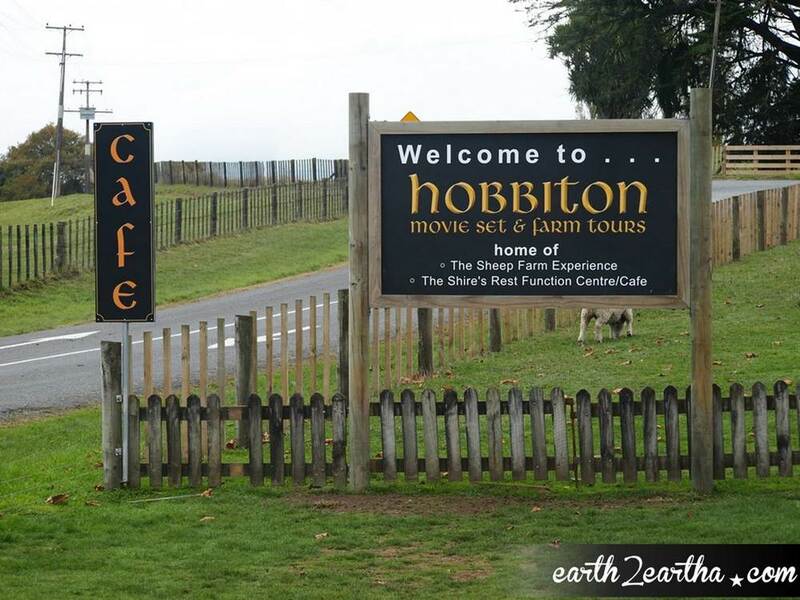 **Check out Hobbiton Set Tour's Website HERE to find out more about their tours. It's definitely worth it! I swear on the precious!